Calling All Peanut Butter Lovers! Get out your mixers and gear up your taste buds as you prepare to embark on a peanut butter escapade that will prove to be nothing short of delicious. Written especially for the peanut butter lover, this collection of over 100 mouth-watering recipes features peanut butter as the star ingredient. 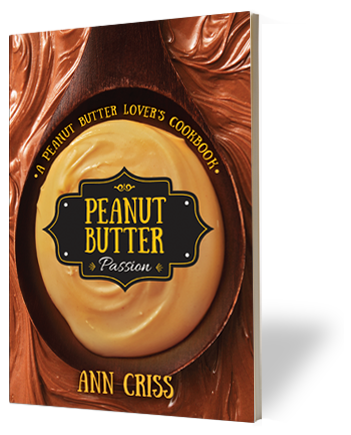 With simple instructions and peanut butter in every bite, Peanut Butter Passion: A Peanut Butter Lover's Cookbook will have you craving more and more - peanut butter that is. From breakfast (Oatmeal Buttermilk Peanut Butter Pancakes) to dinner (Sweet-Potato Peanut Soup), and on to drinks and dessert, Peanut Butter Passion has something to suit your every mood. Whether you're cooking it for yourself or making a batch of warm, peanut butter cookies for a friend, you are encouraged to experiment, eat and enjoy the plethora of uses for peanut butter! In the spirit of sharing, at least ten percent of the proceeds from net sales of Peanut Butter Passion will be donated to charity.